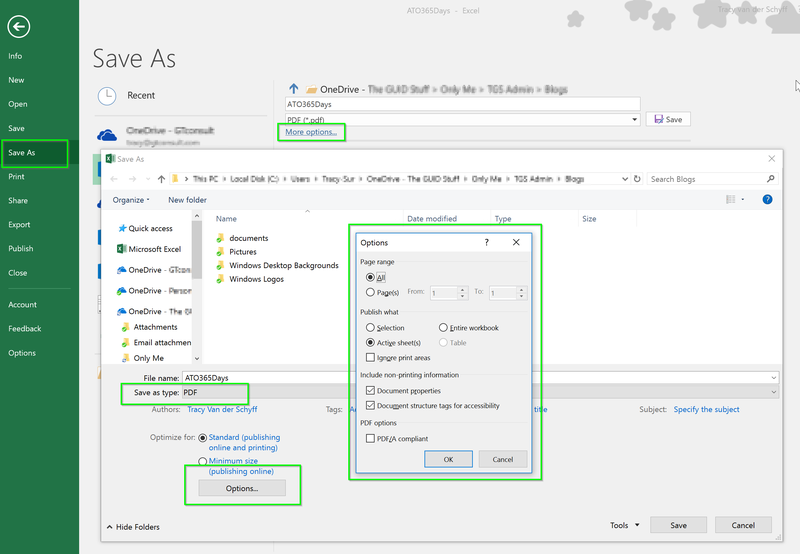 #Office365Challenge One of the biggest challenges as a blogger – is to keep writing even if you think everyone knows it already. Because they don’t. At any given time somebody, somewhere still needs to learn something you’ve already forgotten. I still interact with students on a regular basis, who don’t know you can save PDF’s straight from Office. So here goes. What does Microsoft say? You can use the Office programs to save or convert your files to PDFs so that you can share them or print them using commercial printers. And you won’t need any other software or add-ins. Examples include resumes, legal documents, newsletters, files that are intended to be read only (not edited) and printed, and files that are intended for professional printing. 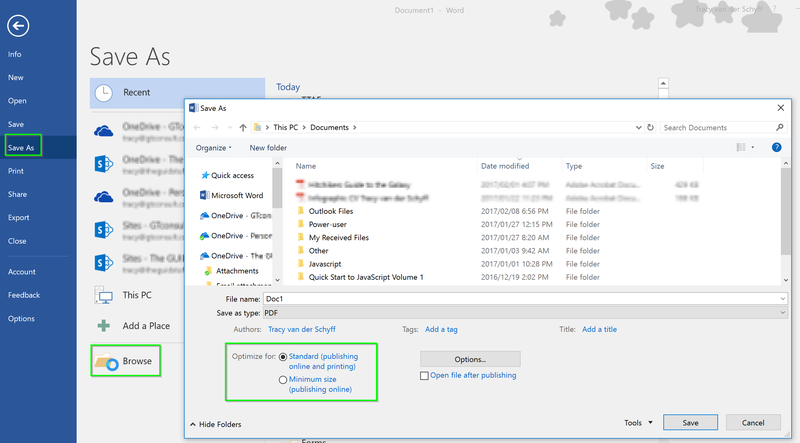 I’ve previously written about PDF’s where you can Share a Word Document as a PDF directly via email and opening PDF’s in Word, but for some reason I’ve never explained the basics. 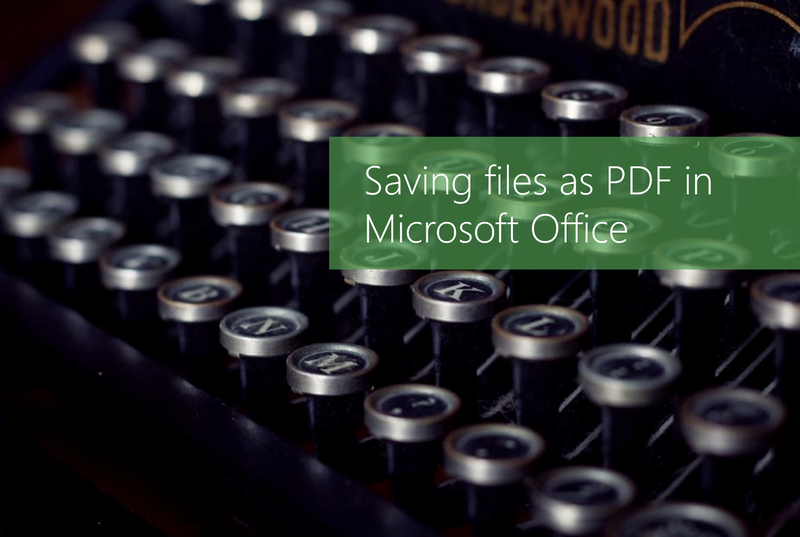 What are the benefits of saving a document as a PDF? To PDF a Word or PowerPoint document is fairly easy – as we’re already working with specific page sizes. On the File Menu, click on Save As. Select PDF – Voila!